The client had purchased the property with a pre-existing, but badly maintained, pool. 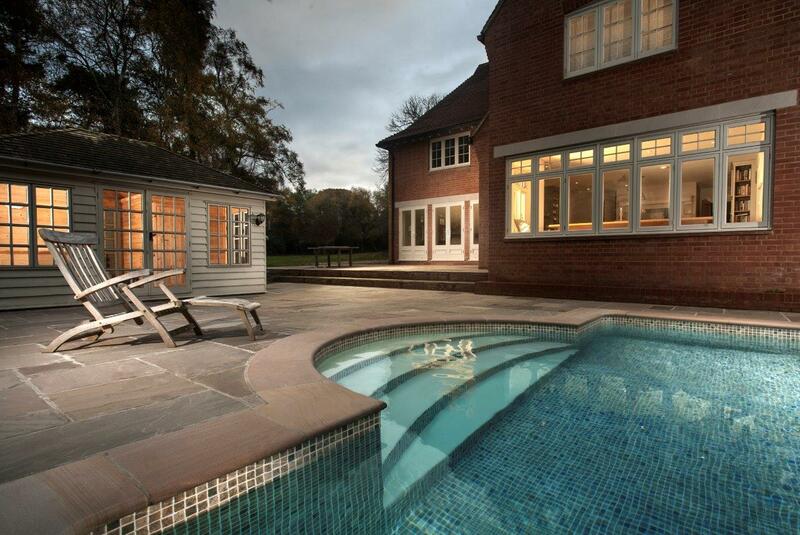 They wanted to renovate it into the perfect family pool, with an easy to manage cover system. Our biggest concern was working around the renovation of the main building which was going on next to the pool. We worked alongside the other contractors, maintaining a clear line of communication, ensuring the client was happy every step of the way. The result of this renovation is a high–quality finish and attention to detail. The new pit which has been built to house the solar slatted cover has also helped hide the skimmers giving a clean and minimal look.